The 2019 MLB season is officially upon us; it’s time to get ready for the with the smell of fresh cut grass, hot dogs, peanuts and cracker jacks. As the 2019 MLB Opening Day games are about to begin so here is a look at How much are MLB Opening Day Ticket Prices on the secondary market for the 2019 season. How much are MLB ticket prices 2018 season? The average 2018 MLB ticket price is $76.00 per ticket on the secondary ticket market during the regular Major League Baseball season. Comprised average of all 30 teams MLB Ticket prices on the secondary market. The average MLB ticket price for the 2018 season is up 55.10% from the average ticket price of $49.00 during the 2011 regular season. MLB ticket prices on the secondary market for the 2018 season are up 8.57% since the average ticket price of $70.00 per ticket during the 2016 MLB season. Do you Know your Dodgers Managers? The Los Angeles Dodgers history goes all the way back to 1884 when they team was first formed and called the Brooklyn Atlantics and managed by George Taylor. Since the beginning, there have been twenty-five managers coaching the team and nine different team names for the beloved Los Angeles Dodgers. Knowing the Dodgers Managers is a great conversation piece if you’re going to a game a Dodger Stadium or just looking to impress your friends with your knowledge of the blue crew. George Taylor coached the Brooklyn Atlantics in 1884 where he coached the to a disappointing 40-64 record. Charlie Hacket was the manager for the Brooklyn Grays in 1885 where he led them to a below average 15-22 record. Los Angeles Dodgers Tickets Promo Code Save Today! If you are looking for Los Angeles Dodgers Tickets Promo Code then looks no further then Barry’s Ticket Service. We physically stock over 1000 tickets for all Dodgers games at Dodger Stadium and is only minutes from Dodger Stadium itself. Cincinnati Reds Tickets Discount Code Save Now! Cincinnati Reds Tickets discount code is available for both the regular season and playoff games at Great American Ball Park! Use our Reds tickets discount code to save on your tickets including Cincinnati Reds Dugout Tickets, Field Boxes, Upper Levels and Outfield sections of Great American Ball Park. Cincinnati Reds promotional and giveaway nights are always jammed packed with Reds fans. You can use our Cincinnati Reds tickets discount code on promotional nights and giveaway nights at the stadium. With thousands of Reds tickets to choose from, Barry’s Tickets has something for everyone and every budget. Ordering your Cincinnati Reds game tickets online is easy as one, two, three. You can even order tickets on the day of game as well as just minutes before the game starts. Order tickets to the Reds game of your choice by selecting the game and using our interactive Reds Great American Ball Park seating chart. View the field of different sections of the ball park. 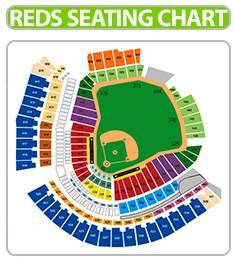 You can select by section, zone as well as price range in order to find cheap Reds tickets in any section. Once you decide on your tickets hit “Buy” and you will be taken to our secure HTTPS checkout. Use our Cincinnati Reds tickets discount code in the promo code box after filling out your information. 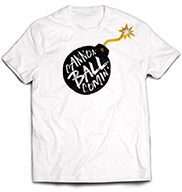 Then hit Click to complete your order. Easy, Safe, and Secure. The Cincinnati Reds are a team that is currently in the rebuilding process. After a few strong, competitive seasons, the Reds have hit a downswing that has forced them to cut back on some of their commitments to former players. Despite being in a valley at the moment, the Reds still attract a loyal group of fans to their games on any given night. To see their Reds play, fans head down towards the Ohio River and in through the gates of Great American Ballpark. This ballpark is one of the more beautiful in all of baseball, as seen by the stadium recently hosting the all-star game, and there isn’t a bad seat in the house. If you want to find a seat at one of these games, tickets will be available here for a fair price. Although the Reds are currently rebuilding in hopes of competing again soon, this doesn’t mean that the team doesn’t have any star players. The Reds have some of baseball’s premier talent, represented by Joey Votto, Jay Bruce and Brandon Phillips. While the Reds have these stars in their lineup, pitching isn’t as strong with the rotation fronted by strong prospect Tony Cingrani. As the first official team to be a member of the MLB, the Reds have the most extensive history of any team to ever play baseball. With their history being so extensive, it comes as no surprise that the Reds have a good bit of playoff experience. The Reds have made the playoffs a grand total of 14 different occasions. In those 14 tries, the Reds have gone to 9 World Series Championships, winning the series four times. Barry’s Ticket Service secondary ticketing market data has been used and trusted since 1985 by media outlets including Forbes, The Wall Street Journal, AM570, ESPN and more. Barry’s Tickets an Official Partner of the NBA Los Angeles Clippers. Please Note: Some restrictions may apply on our Pittsburgh Pirates tickets discount code. Savings is based on game and availability of tickets for that game. Cincinnati Reds tickets discount code can only be used online. Savings amount may vary. View the entire Cincinnati Reds Promotional Giveaway Game Schedule. Cincinnati Reds Promotional Giveaway Game Schedule for the 2016 season is chalk full of great giveaways for the Reds fans both you and old. There is no better feeling then going to Great American Park in perfect weather and having a hot dog, nachos, cold beverage and getting a free Reds souvenir. Checkout the Reds Promotional Giveaway Game Schedule and mark your calender’s its going to be another exciting Cincinnati Reds season. Watch as the Reds battle fellow rivals in the National League Central Division with games against the Cubs, Astros, Brewers, Pirates and Cardinals. Reds Tickets Start at $133. Reds Tickets Start at $16. Reds Tickets Start at $12. As part of Super Saturdays, free to the first 20,000 fans. Reds Tickets Start at $31. Reds Tickets Start at $22. Reds Tickets Start at $9. Joey Votto Super Hero Bobblehead. As part of Super Saturdays, free Super Hero-themed bobble of the Reds slugger to the first 25,000 fans. Kids Super Hero Fathead® Wall Decal. Line up after the game to run the bases. Open to fans of all ages. Bark in the Park #1. Reds Tickets Start at $13. STAR WARS™ X-Wing Fighter Mr. Redlegs Bobblehead. As part of Super Saturdays, free to the first 25,000 fans. Kids STAR WARS™ Fathead® Wall Decal. Free to the first 10,000 moms. Ken Griffey Jr. Dual Bobblehead. Kids Team Baseball Card Set. As part of family day at the ballpark, free to kids 14 and younger. Packages available for dogs and their owners with pet activities, samples and more in the Kroger Fan Zone. Dog packages must be purchased in advance of game day. Reds Tickets Start at $20. Reds Hall of Fame Induction Night. As part of Super Saturdays, free item TBD to the first 25,000 fans. Reds Tickets Start at $19. As part of Super Saturdays, free Zack Cozart bobblehead of the Reds shortstop to the first 25,000 fans. As part of family day at the ballpark, free to kids 14 and younger. A different Reds-themed decal will be featured on each of these Sunday giveaways throughout the season. Reds Tickets Start at $28. Reds Tickets Start at $30. Reds Tickets Start at $37. Reds Tickets Start at $44. Sundays are family days at the ballpark! Enjoy a special ticket offer, live mascot races, face painters and more. Some restrictions apply. 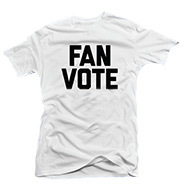 Available in advance of game day only. Tickets available at reds.com/Family. As part of family day at the ballpark, free to kids 14 and younger. A different Reds-themed decal will be featured on each of these Sunday giveaways throughout the season. Reds Tickets Start at $35. Reds Tickets Start at $32. Reds Tickets Start at $27. Reds Tickets Start at $38. Reds Tickets Start at $51. Kids USA Reds Fathead® Wall Decal. Bark in the Park #3. Reds Tickets Start at $25. Reds Tickets Start at $49. Reds Tickets Start at $34. Bark in the Park #4. As part of Super Saturdays, free commemorative Cincinnati Reds stein to the first 20,000 fans. As part of Super Saturdays, free commemorative stein to the first 20,000 fans. Reds Tickets Start at $21. All Cincinnati Reds Promotional Giveaway Game Schedule items are subject to change! Cincinnati Reds starting ticket prices are subject to change. Click to get Cincinnati Reds Tickets Today! You can order tickets for any games on the Cincinnati Reds Promotional Giveaway game schedule buy using our Reds Interactive Great American Ball Park seating chart. You can select tickets by price range, level, section, zone as well as see the Cincinnati Reds field view from every section. Once you select the Reds tickets you’re interested you can click buy and you will be able to enter our Cincinnati Reds tickets discount code in the promo code box on our secure checkout. Our Cincinnati Reds tickets discount code is good online only. Cincinnati Reds Promotional Giveaway Game Schedule is subject to change. All giveaway or promotional items on the Cincinnati Reds Promotional Giveaway game schedule are good while supplies last. Giveaways/Promotional items listed are for the first 40,000 fans at Great American Ball Park unless otherwise noted. The Cincinnati Reds enforce a strict one giveaway per person policy. The promotional item will be given to the bearer of the Cincinnati Reds ticket upon entering Great American Ball Park. The Cincinnati reserve the right to limit the number of promotional items per person per valid entry into Great American Ball Park. All items on the Cincinnati promotional giveaway game schedule will be distributed at the Great American Ball Park entry gates from the announced time that the gates open until 60 minutes after the start of the Cincinnati. Please see Cincinnati Reds Promotional Giveaway Game Schedule guidelines for more information.Get more information on our Cincinnati Reds Tickets discount code. Pittsburgh Pirates Promotional Giveaway Game Schedule for the 2016 season is chalk full of great giveaways for the Pirates fans both you and old. There is no better feeling then going to PNC Park in perfect weather and having a hot dog, nachos, cold beverage and getting a free Pirates souvenir. Checkout the Pirates Promotional Giveaway Game Schedule and mark your calender’s its going to be another exciting Pittsburgh Pirates season. St Louis Cardinals at Pittsburgh Pirates. Milwaukee Brewers at Pittsburgh Pirates. 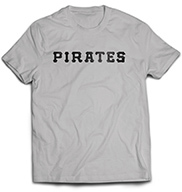 Pirates Free Shirt Friday first 20,000 fans. Cincinnati Reds at Pittsburgh Pirates. Kids Andrew McCutchen Silver Slugger Plastic Bat. Atlanta Braves at Pittsburgh Pirates. Colorado Rockies at Pittsburgh Pirates. Raise The Jolly Roger Bobblehead. Los Angeles Angels at Pittsburgh Pirates. San Francisco Giants at Pittsburgh Pirates. Los Angeles Dodgers at Pittsburgh Pirates. Kids Andrew McCutchen New Replica Alternate Jersey. Chicago Cubs at Pittsburgh Pirates. Kids Francisco Cervelli Wall Decals. Philadelphia Phillies at Pittsburgh Pirates. Kids Josh Harrison Wall Decals. 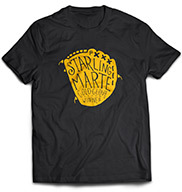 Kids Starling Marte Wall Decals. Miami Marlins at Pittsburgh Pirates. Kids W.B. Mason Collectible Truck. Kids Pittsburgh Pirates Flat Bill Snapback Cap. Kids OYO Buildable Dugout Set. Washington Nationals at Pittsburgh Pirates. Pittsburgh Pirates Promotional Giveaway Game Schedule is subject to change. All giveaway or promotional items on the Pittsburgh Pirates Promotional Giveaway game schedule are good while supplies last. Giveaways/Promotional items listed are for the first 40,000 fans at PNC Park unless otherwise noted. 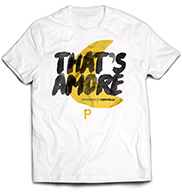 The Pittsburgh Pirates enforce a strict one giveaway per person policy. The promotional item will be given to the bearer of the Pittsburgh Pirates ticket upon entering PNC Park. The Pittsburgh reserve the right to limit the number of promotional items per person per valid entry into PNC Park. All items on the Pittsburgh promotional giveaway game schedule will be distributed at the PNC Park entry gates from the announced time that the gates open until 60 minutes after the start of the Pittsburgh. Please see Pittsburgh Pirates Promotional Giveaway Game Schedule guidelines for more information.Get more information on our Pittsburgh Pirates Tickets discount code. Pittsburgh Pirates Tickets Discount Code Save Now! 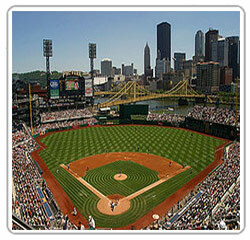 Pittsburgh Pirates Tickets discount code is available for both the regular season and playoff games at PNC Park! Use our Pirates tickets discount code to save on your tickets including Pittsburgh Pirates Dugout Tickets, Field Boxes, Upper Levels and Outfield sections of PNC Park. Pittsburgh Pirates promotional and giveaway nights are always jammed packed with Pirates fans. You can use our Pittsburgh Pirates tickets discount code on promotional nights and giveaway nights at the stadium. 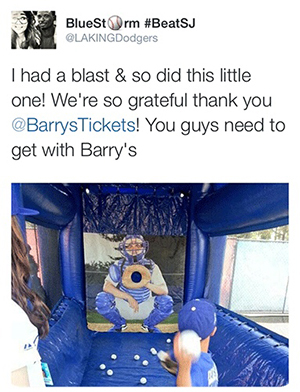 With thousands of Pirates tickets to choose from, Barry’s Tickets has something for everyone and every budget. Ordering your Pittsburgh Pirates game tickets online is easy as one, two, three. You can even order tickets on the day of game as well as just minutes before the game starts. Order tickets to the Pirates game of your choice by selecting the game and using our interactive Pirates PNC Park seating chart. View the field of different sections of the ball park. 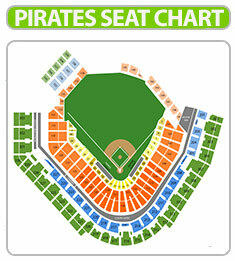 You can select by section, zone as well as price range in order to find cheap Pirates tickets in any section. Once you decide on your tickets hit “Buy” and you will be taken to our secure HTTPS checkout. Use our Pittsburgh Pirates tickets discount code in the promo code box after filling out your information. Then hit Click to complete your order; it’s easy, safe, and secure! One of the oldest franchises in the history of baseball, the Pittsburgh Pirates have quickly become one of the more popular teams in the MLB. This comes as no surprise, seeing that the Pirates are one of the easiest teams to root for. After a North American record 20 straight losing seasons, the Pirates have recently made the playoffs two seasons in a row with no signs of slowing down. Fans and other spectators can see the Pirates play at beautiful PNC Park. Located in downtown Pittsburgh, right on the shore of the Allegheny River, fans can enjoy all of the hits, strikeouts and home runs that one can see at any game for some of the most affordable prices around the league. There isn’t a single bad seat one could find at PNC Park making a game a wonderful investment. The Pirates have done a good job building their team through the draft and developing players in their farm system. This is evidenced by home grown superstars like Andrew McCutchen, Neil Walker and Gerrit Cole. On the international market side of things, the Pirates have hit some big prospects like Starling Marte and Gregory Polanco. Coupled in with this young wave of talent is veteran leadership from the likes of AJ Burnett and Francisco Liriano. This strong mix of young players and savvy veterans make the Pirates favorites again this year to make the playoffs. The Pirates have had their fair share of playoff woes in recent memory. Before making the playoffs the past two seasons, the Pirates had gone 20 straight seasons without a playoff berth. But historically, the Pirates’ have a tremendous pedigree of playoff appearances. In the franchise’s century long history, they have made the playoffs a total of 28 times, winning 9 national league pennants and 5 World Series titles. And with how the team is currently constructed, some of those numbers may go up this season. Please Note: Some restrictions may apply on our Pittsburgh Pirates tickets discount code. Savings is based on game and availability of tickets for that game. 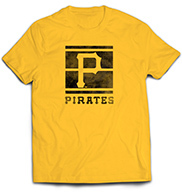 Pittsburgh Pirates tickets discount code can only be used online. Savings amount may vary. 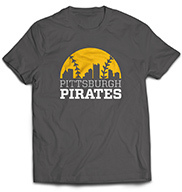 View the entire Pittsburgh Pirates Promotional Giveaway Game Schedule.